Hello everyone. While we haven't mentioned much here at the Founders House website, I will say that we have been prepping the last few months for the launch of this magazine project for some time. 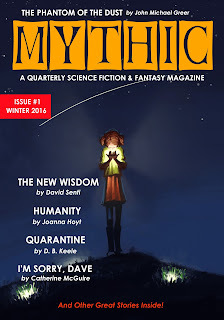 I am personally very happy to announce that the first issue of MYTHIC is now available for purchase. I have the pleasure of editing this debut publication devoted to finding and sharing great sci-fi/fantasy stories. 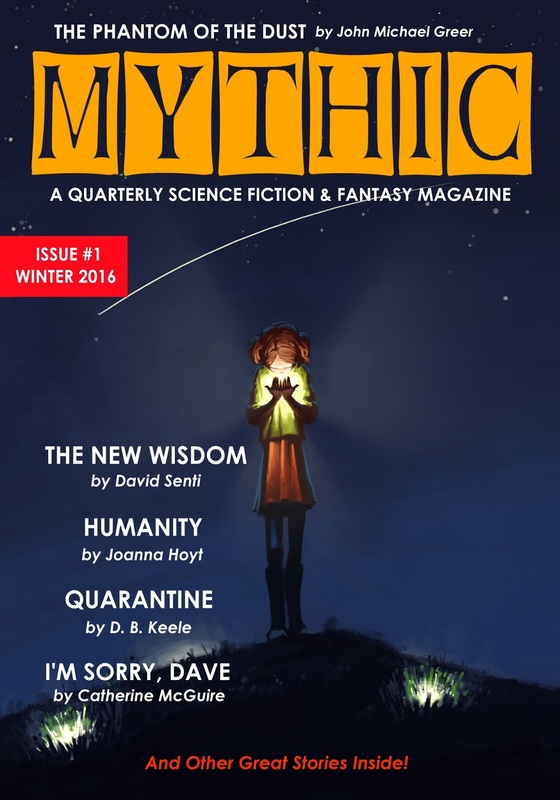 Welcome to the first issue of MYTHIC: A Quarterly Science Fiction & Fantasy Magazine. This new publication of science fiction and fantasy stories hopes to open up the general to broader, more diverse explorations. Seeking to break out of the worn conventions of both genres, MYTHIC collects stories that push the boundaries, but also provides a home for familiar ones as well. 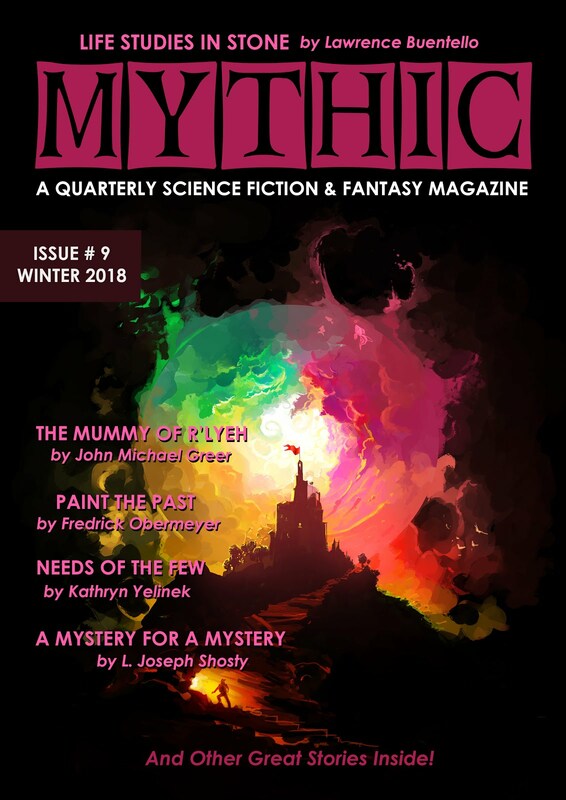 You can purchase individual copies by visiting www.mythicmag.com or via many other booksellers and retailers such as Amazon. Those interested in subscribing may purchase 1-year subscriptions as well. Check the MYTHIC website for more information.